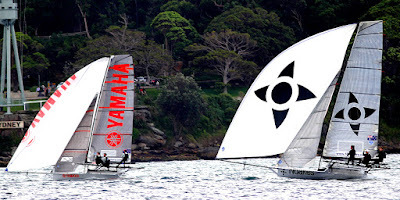 New Zealand’s Yamaha became the fifth different winner from the six races sailed so far in the 2016 JJ Giltinan 18ft Skiff Championship, when David McDiarmid, Matthew Steven and Bradley Collins scored a come from behind win on Sydney Harbour today. 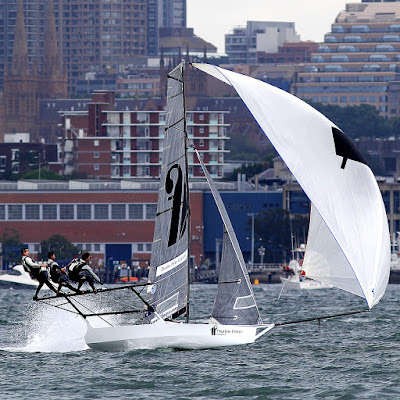 The Kiwi team have shown glimpses of their quality throughout the regatta but it wasn’t until today that the potential was realised and the team recorded a 34s win over the early race leader Thurlow Fisher Lawyers (Michael Coxon, Trent Barnabas, Dave O’Connor). 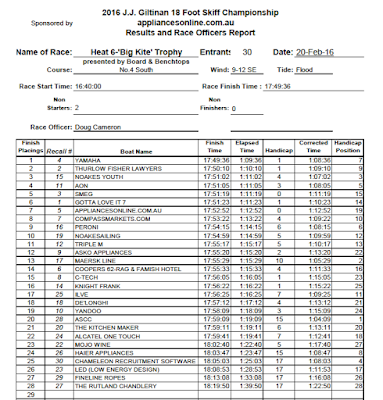 The young Noakes Youth Team (Ash Rooklyn, Daniel Nixon, Rhys Mara) produced another top performance to score their second consecutive podium finish when the team finished third, 52 seconds behind Thurlow Fisher. Another New Zealand team, AON, skippered by Will Tiller finished fourth, ahead of championship leader Smeg, skippered by Lee Knapton, and Gotta Love It 7, skippered by defending champion Seve Jarvin. As we go into the final race of the championship tomorrow, only two teams can win the 2016 title. 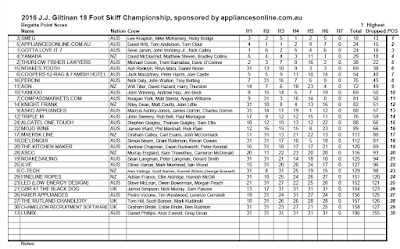 Smeg leads, after discards, on 13 points, followed by appliancesonline.com.au (David Witt) on 15 points. 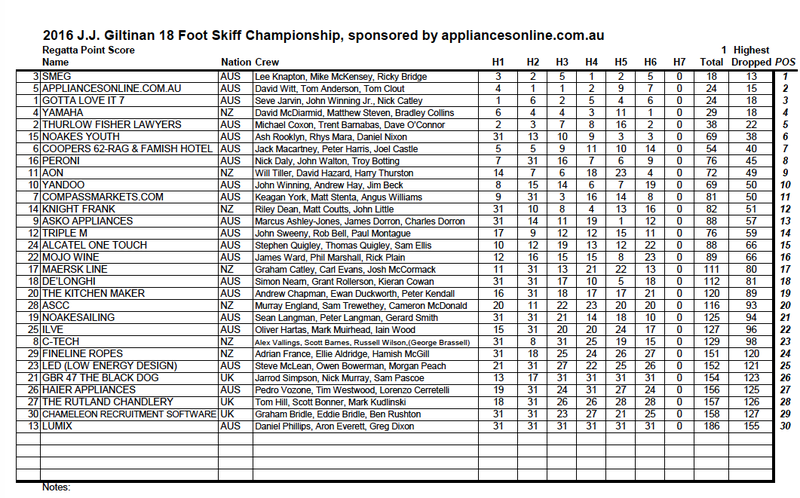 Third placed, after discards, is Gotta Love It 7 on 18 points, along with Yamaha, also on 18 points., then Thurlow Fisher Lawyers on 22 points. Noakes Youth has now moved up into sixth place with a total of 38 points. Appliancesonline.com.au is the only team capable of taking the lead away from Smeg, but must finish no worse than third tomorrow and beat Smeg by two placings in the race. Today’s race was sailed in a dying Southerly breeze, which was predominantly South-East, and all teams suffered when they were all rigged with their #2 sails. 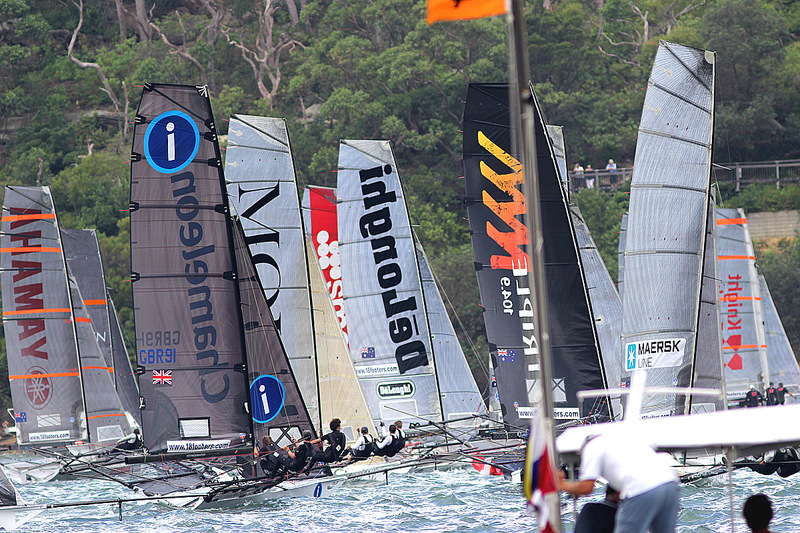 Thurlow Fisher Lawyers brilliantly won the start and grabbed the lead from Gotta Love It 7 at the Clarke Island mark after a short windward leg. 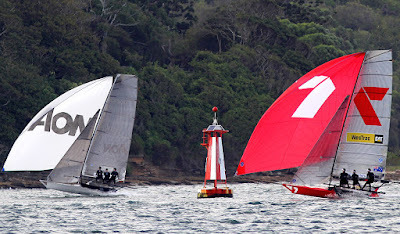 The two leaders, and later Noakes Youth, were the only teams able to carry their spinnakers past Bradley's Head and into Taylor Bay, which enabled them to establish a good break over most of the fleet. 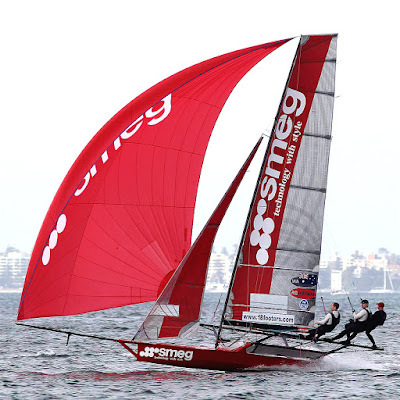 With so much SE direction in the wind, a full spinnaker run was an impossibility and there was mainly two-sail reaching on the run to Obelisk.The windward ‘work’ back to the Rose Bay mark was little better as the fleet made the mark in one long leg. 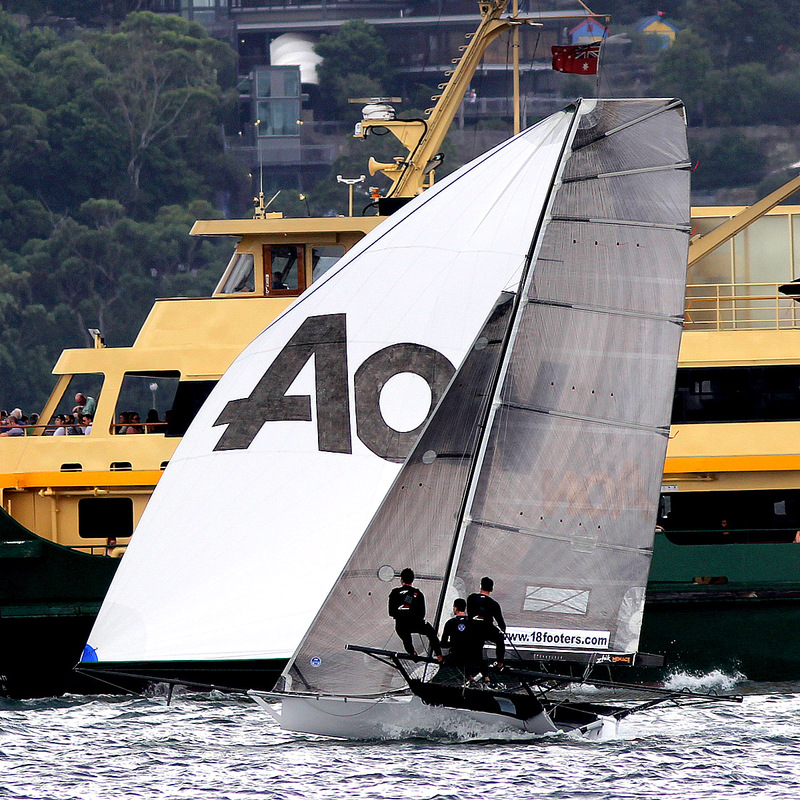 Thurlow Fisher Lawyers held a 45 second advantage over Gotta Love It 7 at Rose Bay, with AON in third place, ahead of Yamaha, Noakes Youth, Knight Frank (Riley Dean) and Smeg, which was more than two minutes behind the leader. 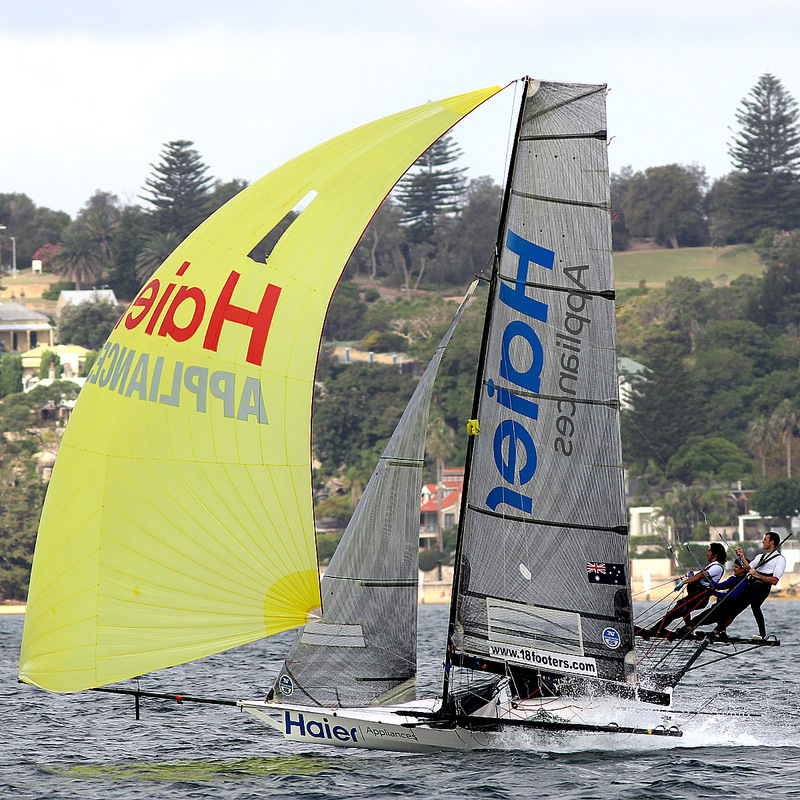 Noakesailing (Sean Langman), Peroni (Nick Daly). 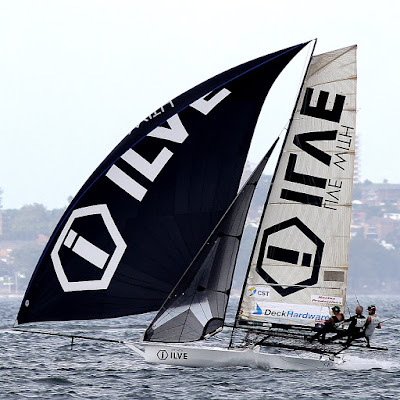 Ilve (Oliver Hartas) and appliancesonline.com.au were behind Smeg. Thurlow Fisher Lawyers continued to hold the lead over the next four legs of the course until the fleet was back at the Rose Bay mark and only one downwind and one windward leg were left to sail. 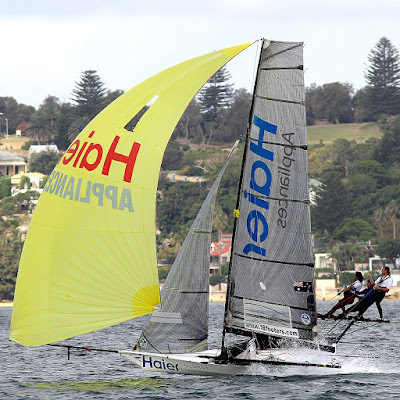 As Thurlow Fisher Lawyers set their spinnaker for the run back to the bottom mark they were hampered by a large cruise boat and were forced to gybe away. This put them off the normal line and into more traffic and the speedy Yamaha proved to be too much to contain as the kiwi team grabbed the lead and headed for home. 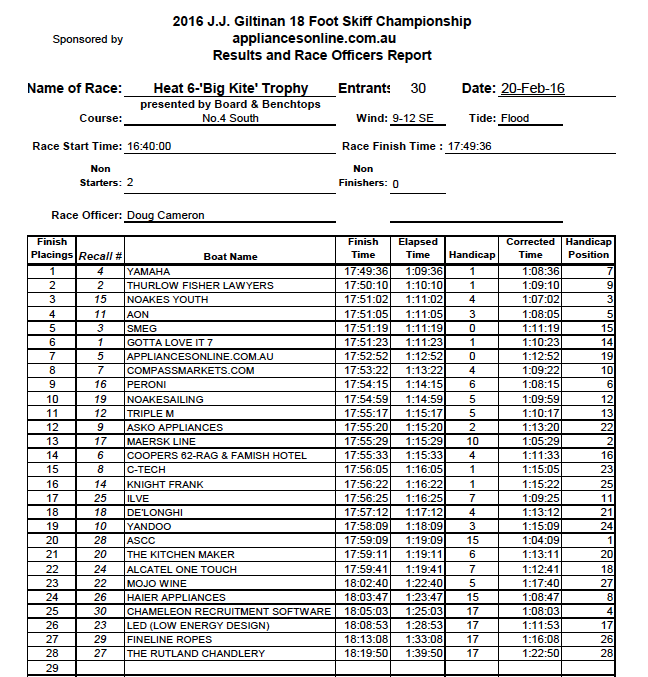 Not a race with a lot of speed or actions but a critical ‘race of points’ amongst the leading group as they battled to stay in contention for the title. This exciting championship will now go down right to the wire tomorrow.